Recently one of our first Bahía de Los Ángeles trips wrapped up, and we wanted to share the experience with you. Please enjoy this account! Our first Bahía trip is quickly coming to an end. Yesterday capped off another stellar day. The diving gave us another look at Bahia’s diverse marine fauna. We started out looking for fin whales. It was so calm that we could have heard them surfacing to exhale and take a deep breath but darn, we just couldn’t quite locate them. 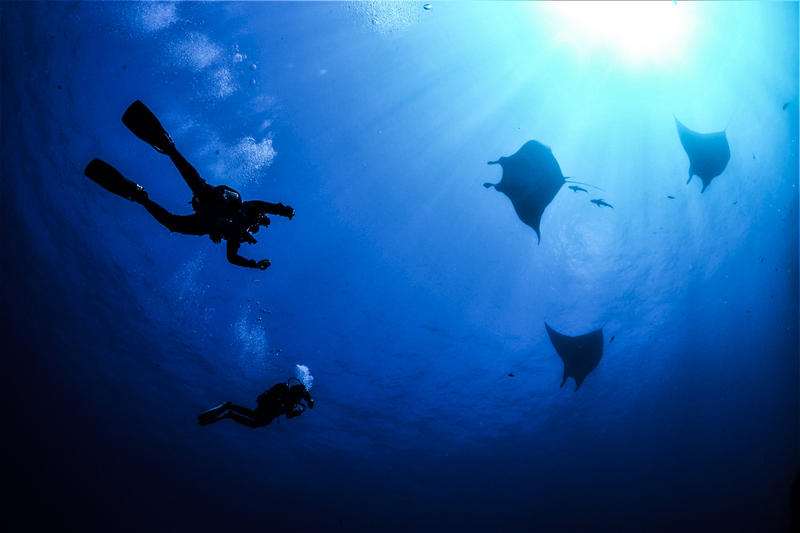 To be out in the middle of the Sea of Cortez in such stillness and tranquillity was quite hypnotizing. The diving gave us a different look at Bahia’s diverse underwater seascape. Colourful gardens of gorgonian coral were the order of the day. Among the variety of different species of colours, shapes, and sizes, we found an octopus, a frogfish, juvenile giant sea bass, and a turtle. The fish life was excellent. The rest of the day was spent snorkelling with a large colony of sea lions and course, seeking out the Bahía “signature” species, whale sharks. The sea lions at El Racito were plentiful and playful. The large male and his harem of twenty or so females darted in and out of sight, giving us quite the show. The day ended with a whale shark jamboree, with five or six different individuals providing super up close and personal encounters. 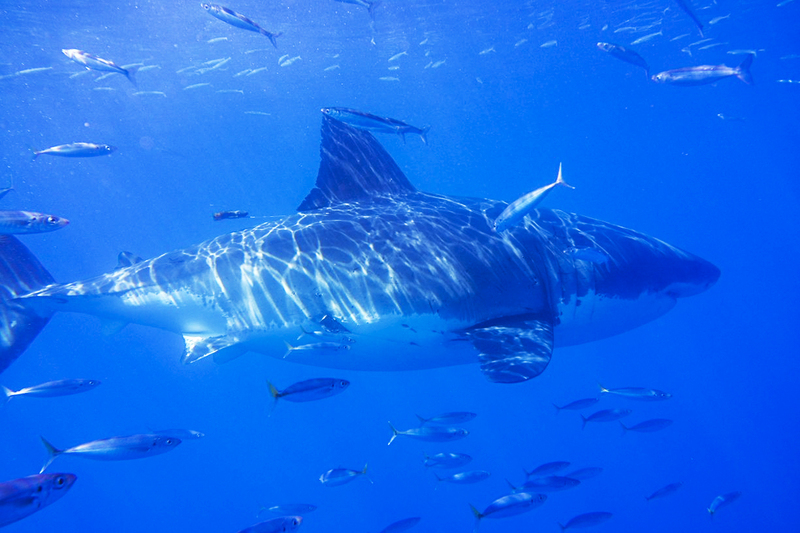 Now it’s off to the Santa Tomas winery and then to Guadalupe for our adventure with the great white sharks! Vamos! Average water temperature: 28˚C (82˚F) with occasional colder currents of water in the low 20s. 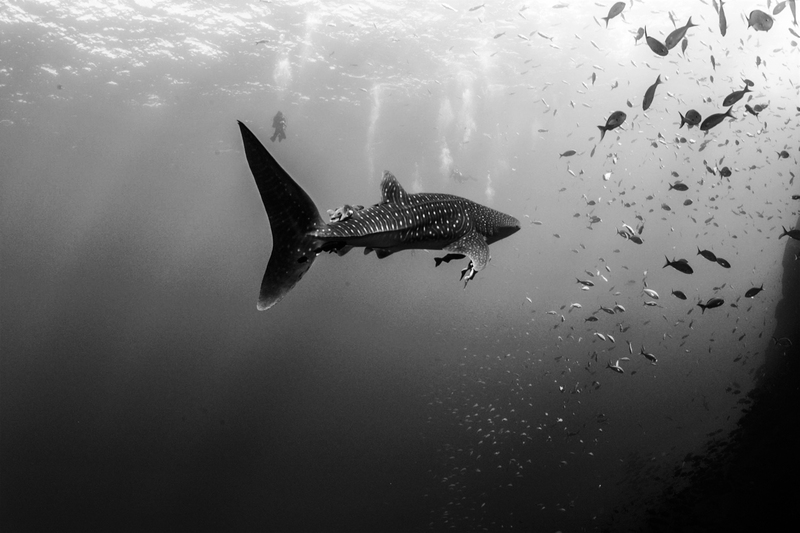 Average visibility: 10 meters (33 feet) with the whale sharks, but much better on our scuba dives. 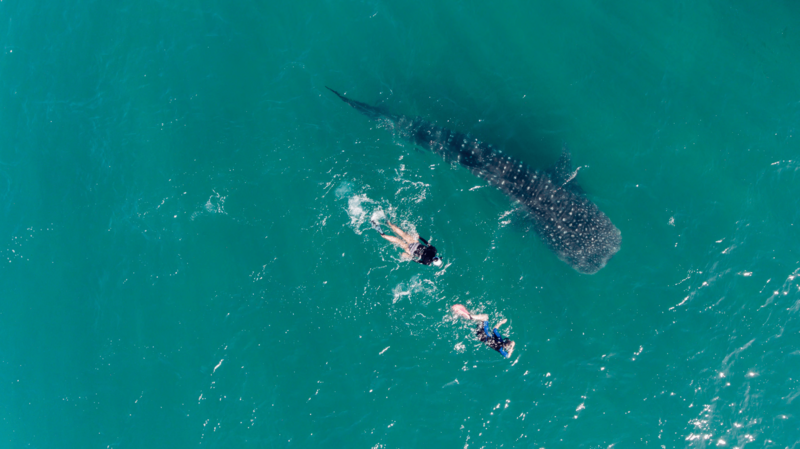 Lower visibility than we tend to see in Socorro or Guadalupe, but the plankton-rich water is why the whale sharks are so plentiful and are such regular visitors. Current: We had large tidal exchanges of up to 2.4 meters (8 feet). We dove during slack tide in locations that didn’t have current during the transition from high to low and low to high. The max current was about 2 knots.